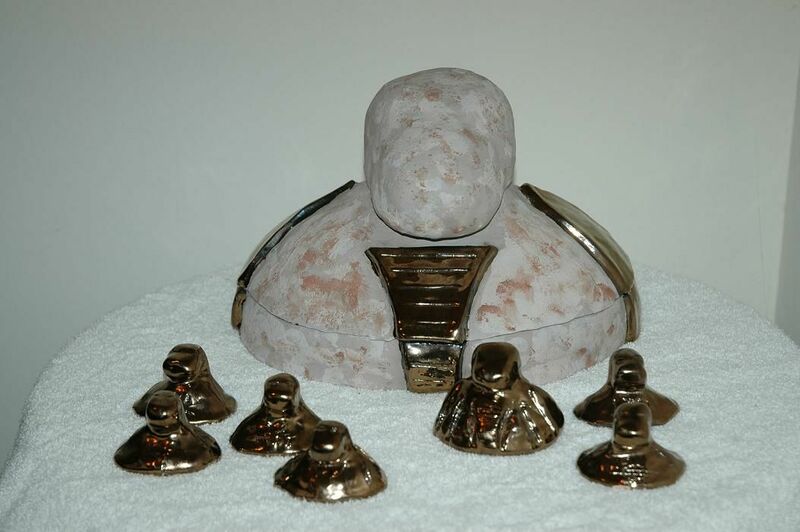 Star Trek: The Next Generation fans will recall the Kurlan Naiskos, which was given to Captain Picard by Prof. Galen in the episode ‘The Chase.’ The larger figure represents the individual, and the smaller figures nested inside it represent the “Kurlan philosophy in the sense that they believed that an individual was actually a community of individuals, each with their own voice, their own desires and their own view of the world.” Back in my college days, ca. 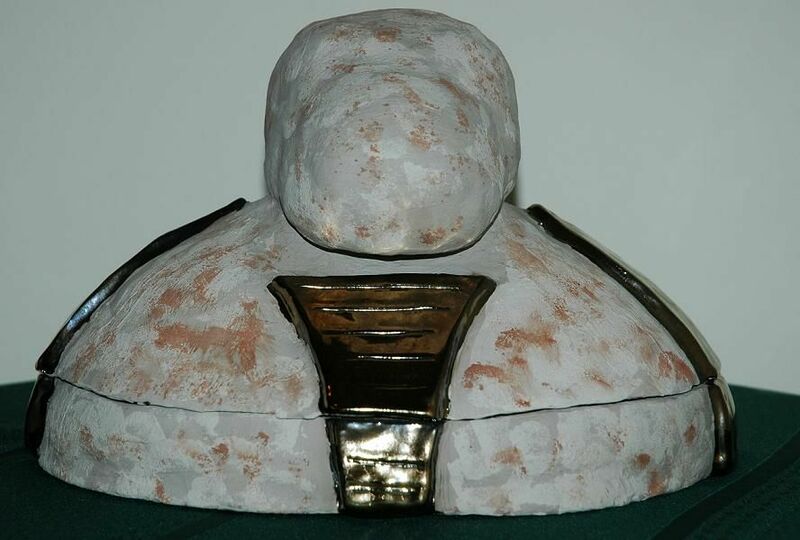 2005, I made my own Naiskos statue in a ceramics course, so I thought I’d share it here. Here are some original props. The third photo, I believe, comes from the Star Trek: The Experience museum, and I’m not sure it was screen-used. Prop from Star Trek: The Experience (?) I have had this image for almost 15 years and forgot where it came from. Below are images of my interpretation of the Kurlan Naiskos statue. 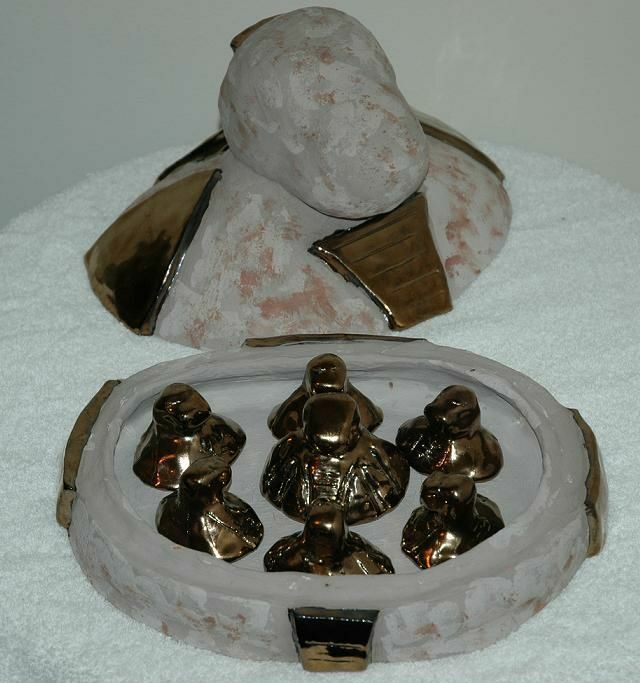 It is a hand-built ceramic statuette, approximately 10 inches across by 8 inches high. 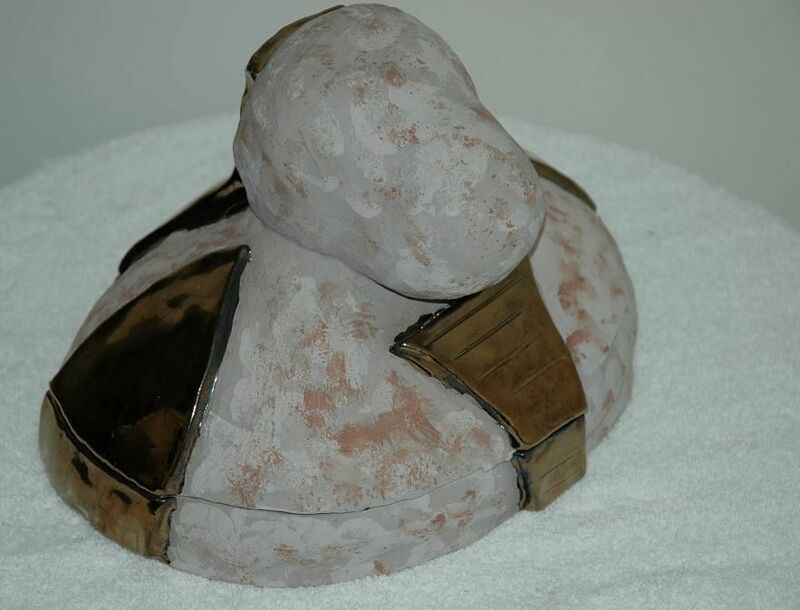 It was bisque fired, then I applied several slips for the grays, iron oxide pigments for the rust, and a specialty metallic gold glaze for the armor, and ended up refiring the piece twice to create an antiqued appearance. The ‘original’ would have been 12,000 years old, after all. This is not meant to be an exact reproduction of the TNG prop, but rather, an extension of the underlying concept. These are old photos, so they may not be very high quality. The statue is in a box in my closet awaiting a better place to display it.